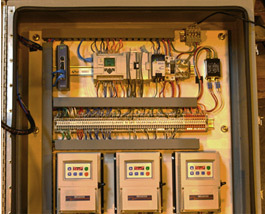 Design and build a system to accurately pump chemicals into a water treatment plant. 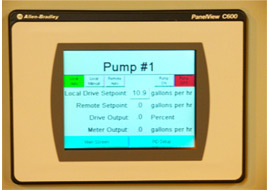 The system would include 3 peristaltic pumps and PID controls for each. 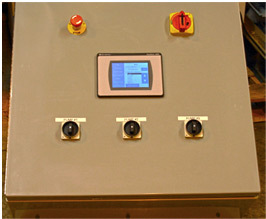 The three pumps are required to be controlled separately via communications from customers existing panel, automatically controlled remotely, or manually controlled remotely. The PLC and the touch screen provide display outputs, PID controls, set points, alarms, and password protect configuration screens.